15 newest and best free WordPress/HTML5/CSS/responsive ecommerce website templates of 2018 are listed to help you choose/create a great ecommerce website. The ecommerce website has become pretty popular lately as they've been found to help many individuals/companies/enterprises easily reach more online customers and increase business revenue. Are you looking for a beautiful ecommerce website of 2018 to build your own online shopping site as a new starter/company? Are you searching for the newest and most creative business website templates to help boost your creativity as a website designer? How to Choose or Build a Good Ecommerce Website Templates? Before introducing the top 15 free ecommerce website templates, it is best for us to discuss about how to choose such a good template and which factors should you take into consideration when choosing? These examples are just the tip of the iceberg. The factors you'll need to consider will vary based on the different product features and needs of the online shops/companies/enterprises. It is therefore better for designers or companies to know the product features and company needs before they begin to design or shop for an online ecommerce website template. Overall, the one that best suits your purpose is the best choice. 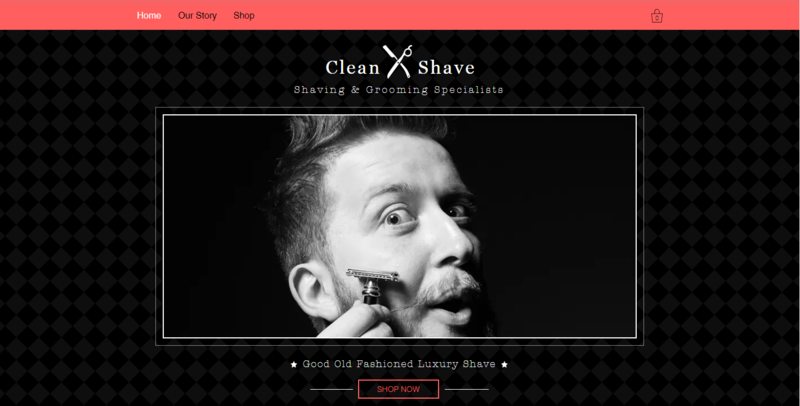 The creative Sidebar design of this ecommerce website template can effectively improve UX. So, it can also be one of the factors that should be taken into consideration. This free WordPress ecommerce website is creatively designed with many Christmas elements, such as the eye-catching red color scheme, the cool snowflake effects, Christmas-related images and other micro interactions. All of them create a very strong Christmassy atmosphere, which makes this template very interesting and attractive. Moreover, with a clear and intuitive navigation system, it is also really user-friendly. In short, this free website template is very suitable for online shops/companies/enterprises to make Christmas sales. 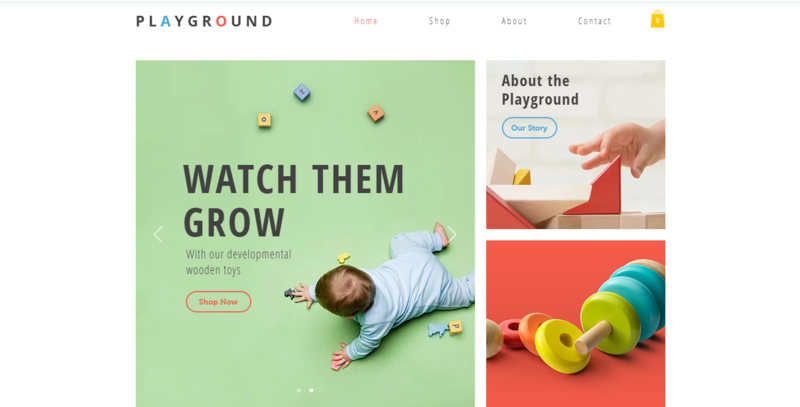 This WordPress ecommerce website template wisely uses a featured product carousel on the left corner (a location which people will naturally notice when they are browsing a website) of its landing page. This is a very useful way to grab users’ attention quickly and help increase sales. Moreover, its intuitive gird layouts make it easier and faster for users to find their desired products. The rich and useful micro interaction designs also make the entire template more attractive. 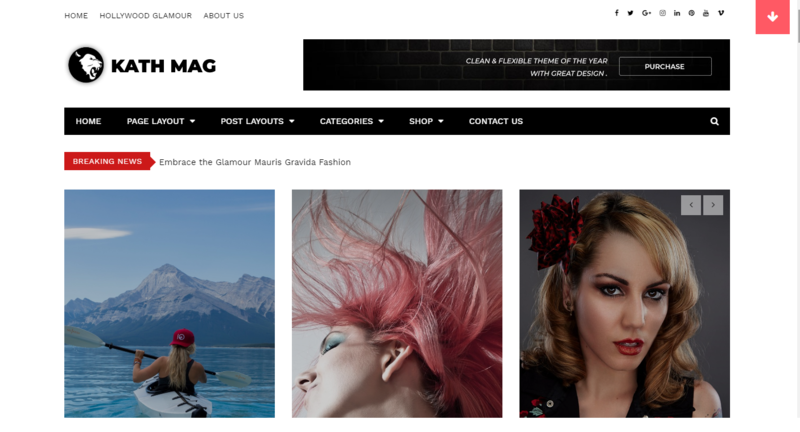 All in all, this ecommerce web template is very appropriate for use as a fashion/clothing/jewelry websites. This WordPress ecommerce website template uses dynamic texts and product photos to attract users’ attention. The great Style Selector, which enables buyers/users to set the main color, Homepage designs, or the other website styles based on their needs, is really useful and well thought out. Moreover, its simple and easy-to-use navigation system offers better UX. In short, this WordPress website template is very great for clothing, jewelry, bags, shoes and other fashion-type websites. Minimal website design style has become an overwhelming trend in UI/UX design. This free WordPress ecommerce website not only uses this minimalist design style to make the entire website simple, stylish and user-friendly, but also addS a separate Search window (made with the progressive disclosure design technology), offering a more powerful search function and facilitating usability. Overall, this template is really good for nearly all types of online ecommerce websites. This free ecommerce website template uses many intuitive grids to display its products clearly. Its news carousel is very useful for designers/enterprises/companies to share discounts and new product information in a timely manner. This free WordPress template would be very good for travel websites. This free WordPress website template adds an eye-catching video background to introduce product information details and attract users. Its simple minimalist website design style is also very useful for users to find their needed information or desired products easily and quickly. In short, this website template is really perfect for websites/designers to introduce product/brand/company information with videos. This free responsive WordPress ecommerce website template is a typical single page website which is extremely clean, simple and systematic. Its flat design style can help speed up the website and offer better UX. Moreover, the function modules highlighted with bright colors and outlined icons make it more beautiful and easier to recognize. This is a very nice choice for some enterprises/companies/individuals to display their products with clear function modules online. This free ecommerce website template uses a very comfortable color scheme in combination with the features of its products. Its fresh and distinctive method of displaying various products gives users a completely different visual experience. In short, this free ecommerce web template can be a good choice for some companies/enterprises/individuals to sell green vegetables, fruits, foods, etc. This free ecommerce website template stands out for its beautiful background illustration, which matches perfectly with the product labels. 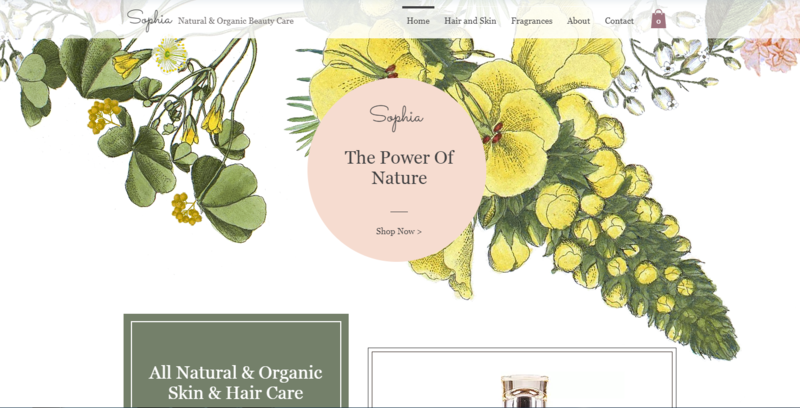 Moreover, this website template ( which is specially made for selling luxury cosmetics) with great illustrations, soft color palette and personalized fonts makes the entire design more natural and comfortable, and deliver a sense of security and trustworthiness. This website is very suitable for selling cosmetics and luxury goods. In order to attract and retain users, this CSS ecommerce website template uses color gradients and dynamically changing the color gradients for better visual performance. The icons used to display different products are fresh and creative. So, this template is perfect for first-time online store owners or some small/medium enterprises/companies to sell artworks or color-related products. This free CSS ecommerce website template uses very attractive black and white color scheme. The minimalist website design style makes it simpler and easier to work with. This website template is ideal for a small or medium enterprise. This free responsive ecommerce website template combines a playful color palette and asymmetric grids, using a professional and effective design approach. The sites is attractive to users and enticing them to purchase their desired toys easily. 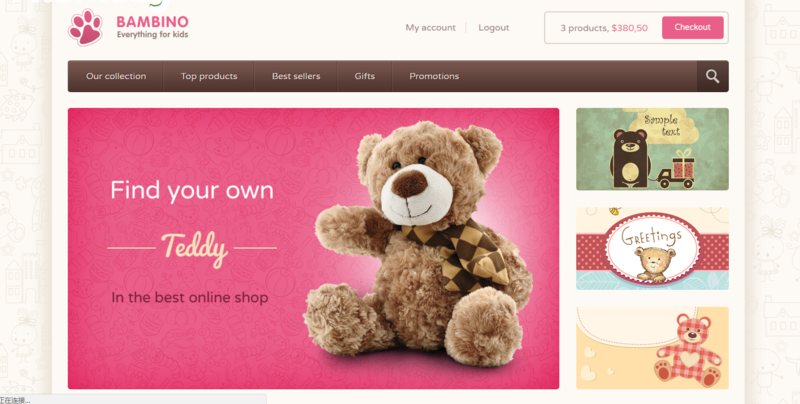 This responsive website template is great for selling a variety of children’s goods. This free responsive ecommerce website template uses a high-quality photo carousel to showcase hot products on its Home page. On its product pages, multiple Search boxes have been added allowing users to find their desired products via different categories and parameters. Moreover, its navigation system is simple and easy to understand. This website template is perfect for showcasing cute little products, such as toys, trinkets, etc. This responsive website template is designed with a black and white color scheme, a product image carousel in its landing page and other creative micro interaction designs, which exudes a high-end, luxurious atmosphere. Moreover, it uses the progressive disclosure design technology to make its Home page simple and intuitive. 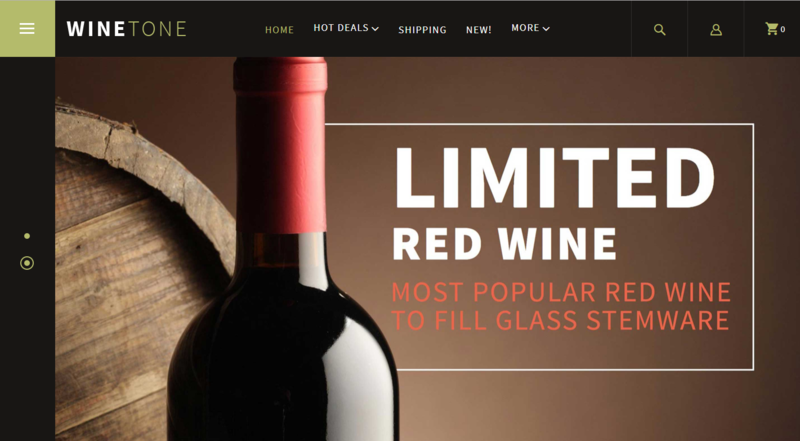 In short, this website template is very suitable for users to sell wines or other luxury goods. This responsive HTML 5 ecommerce website template has a very beautiful and fashionable color scheme. The various methods of displaying products give people a great impression of the site and its products. The clean navigation design also offers a smooth and pleasurable UX. So, creating an intuitive navigation menu design for you ecommerce website. In short, this website is very ideal to be used to sell electronic products, fashionable trinkets, clothing and other hot products online. Overall, hopefully, this collection of the 15 best and professional ecommerce website templates can help you. This website has a huge collection of free WordPress website templates. Users can easily type in keywords and search for the needed ecommerce templates they desire. Mockplus.com/resource is a Mockplus website page that will regularly share free website templates, UI kits, UI designs, interaction designs, fonts and ohter free design resources. This website provides over 100 free and premium professional ecommerce website templates. Website designers/companies/enterprises can freely shop for or download any of them based on their needs. This site displays all new website templates that designers create there. So, it is a nice site for designers to get design inspiration from or for companies/enterprises to download/shop for a good website template. This website showcases numerous website templates sorted by categories. Users or designers can easily search for and freely download the template of their choice. This website displays many design resources, including rich ecommerce website templates. Overall, while choosing or designing an ecommerce website template, designers/companies/enterprises should firstly figure out what they really need, write it down, then evaluate the free or paid ecommerce website template they are considering based on these needs. Only in this way, can they finally choose or design the most suitable website templates for their purpose without losing time or effort.